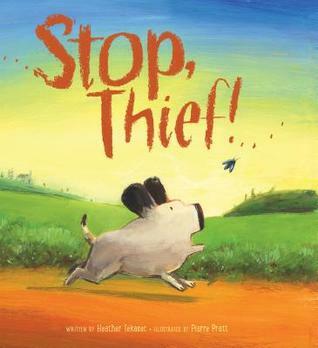 That's Another Story: Learning from Picture Books: STOP, THIEF! Kids generally love books where they spot the clues/answer before the protagonist! Sounds fun. You're welcome! It's fun thinking up activities to go with the books -- and I also like doing a bit of research to find out more about the story or author. What an entertaining book. I have a grandchild who likes to spot clues. I love your activities, as they are always excellent. I'm a sucker for dog stories, too, and hadn't seen this one. Thanks for sharing it!